Welcome customers with inviting SNAP bank signs, perfectly suited for the banking environment where institutions' names and logos, regulations and promotions change frequently. 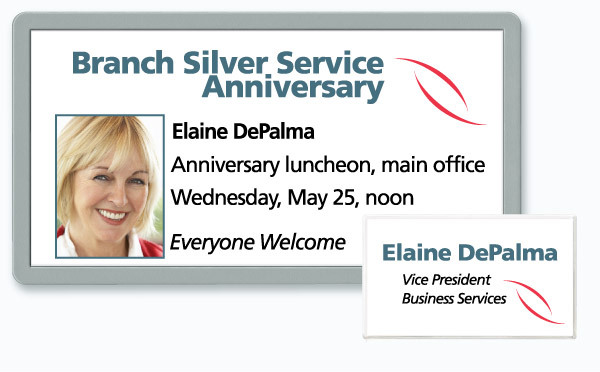 Use printable bank lobby signs, customizable teller name badges and reusable desk name plates to introduce people and services, depositing goodwill with every client visit. For reusable bank counter signs that stand out and generate client loyalty and trust, highlight each key team member with an appealing, changeable desk name plate that you can make yourself. 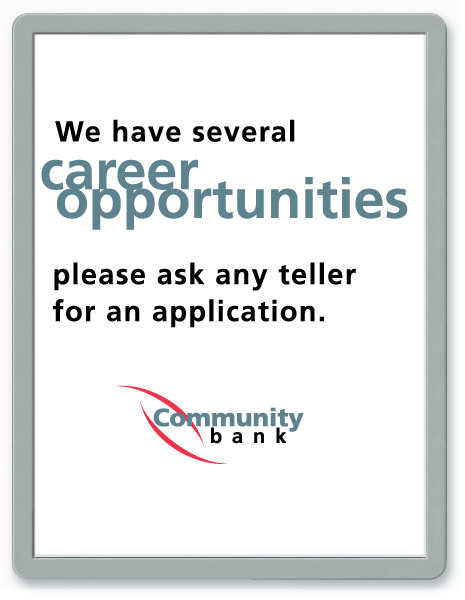 When it's time to update the message on your bank counter signs, re-use the frame and change only the words for the perfect do-it-yourself sign. Emphasize what's important by adding color in the right places and either bold-facing or enlarging the lettering to make your printable door sign or diy wall sign stand out. 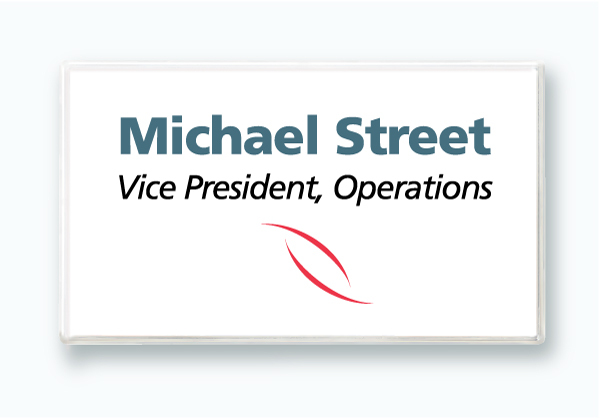 Recognize your people's efforts with custom reusable desk name plates and matching name badges, interchangeable whenever a new event or award occurs. Yes, a great way to let your bank personnel know they're valued is to make your own office signs to honor their achievements. No matter what you say.. There's a customizable SNAP® bank lobby sign to help you say it, whether the words are permanent or change from day to day. From a printable insert wall sign, to reusable desk plates, changeable door signs and everything in between, make your own office signs to inform customers, create bank uniformity and save money. 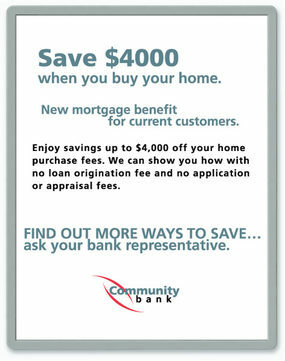 These quickly made changeable bank and credit union signs keep your message fresh and up-to-date. We can show you how to display your creativity and brighten up your designs with tips we've been implementing, season after season, for more than 50 years. When you make your own office signs, do-it-yourself never means doing it alone. 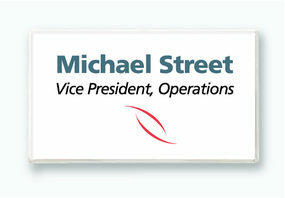 Create staff name badges in an instant. 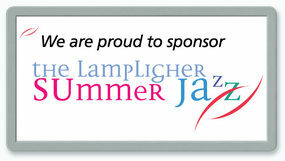 Here's the drill: Snap open, insert your business card, snap shut...wear your changeable badge with pride! This bright white peelable paper ensures that your name tags are as bright as your initial designs. 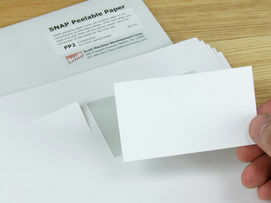 Each sheet contains eight clean-peel name tag panels. Print what you need, then return the sheet to its durable folder. 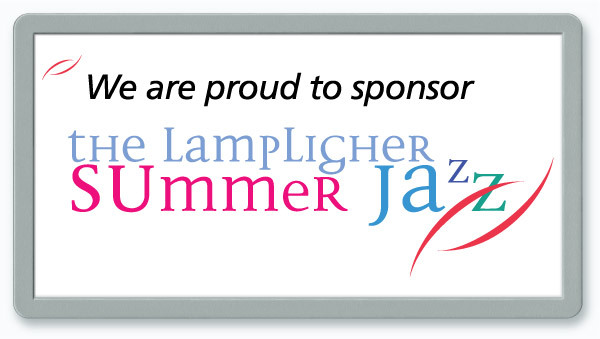 It's easy to be creative - and efficient - with these convertible bank sign panels right at your fingertips. 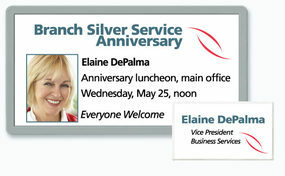 Make your own bank signs to promote a special customer service or announcement of the day. No matter how often the message changes, change the sign with it, using just your computer, desktop printer and a perforated Scott paper sheet. 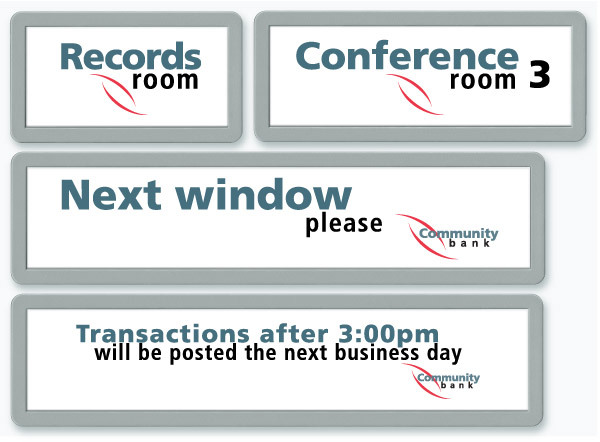 Let your clients be the first to know with informative countertop teller signs. Besides designing your signs as window insert desk plates, you can also display them in the form of a printable wall sign or even a changeable door sign, depending on your message. That's the beauty of SNAP signs...no matter the application, they're Simply Never A Problem! We're proud of what we make here at Scott Machine, to help you make your own wall signs and office signs. 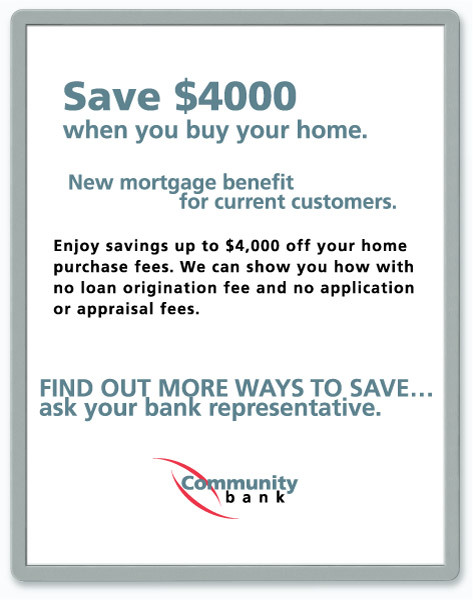 Just call us at 607-865-6511, weekdays from 8:30am-5:00pm, and let us show you why. Mix & match the versatile sizes of our economical SNAP® bank lobby signs and teller name tags to extend any greeting, fit any message. Our large 8 1/2" x 11" customizable signs accept standard letterhead, making it easy to create your own bank regulatory signs. It's no wonder so many banks ask us to lend them a hand.